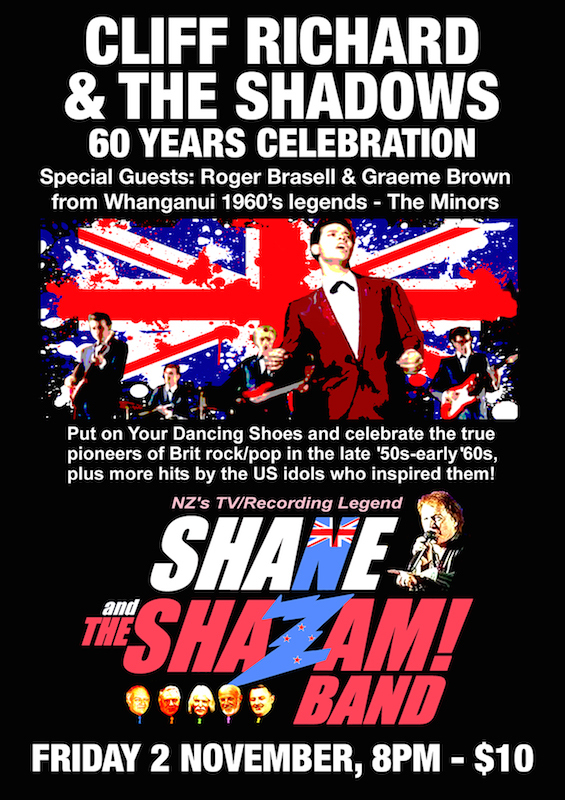 Shane and The Shazam Band present a Cliff Richard and The Shadows 60 years celebration. Put on your dancing shoes and celebrate the true pioneers of Brit pop/rock in the late 50's early 60's plus more hits by the US idols who inspired them. Tickets $10.